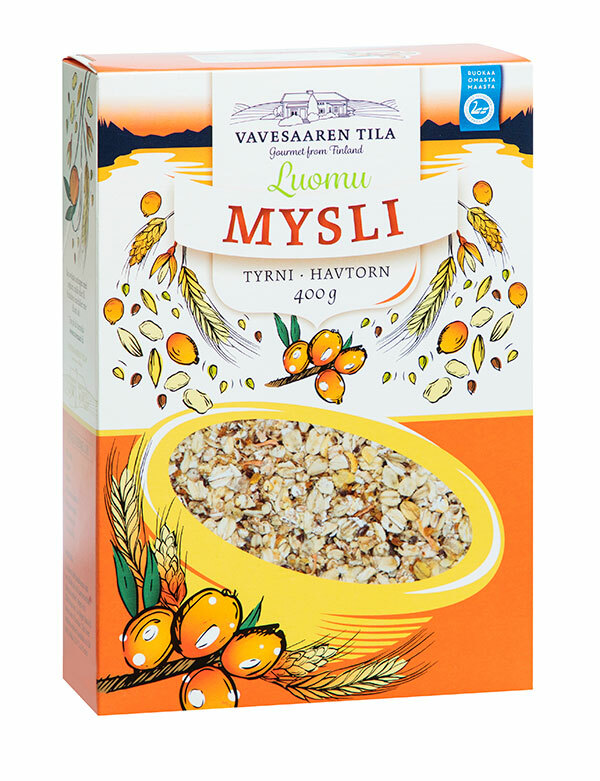 "SUN-BAKED CRISPNESS ON YOUR PLATE"
The delicious crunchy gourmet muesli from Vavesaari has been packed full of nature's own vitamins and fibre. They are an incomparable source of energy in the morning and as snacks. 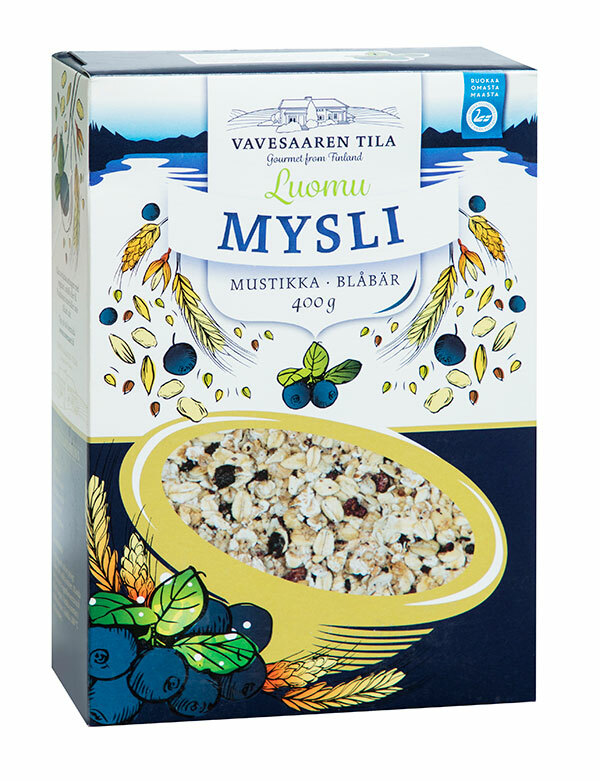 If someone claims that healthy cannot taste good, they clearly haven’t tried our muesli. 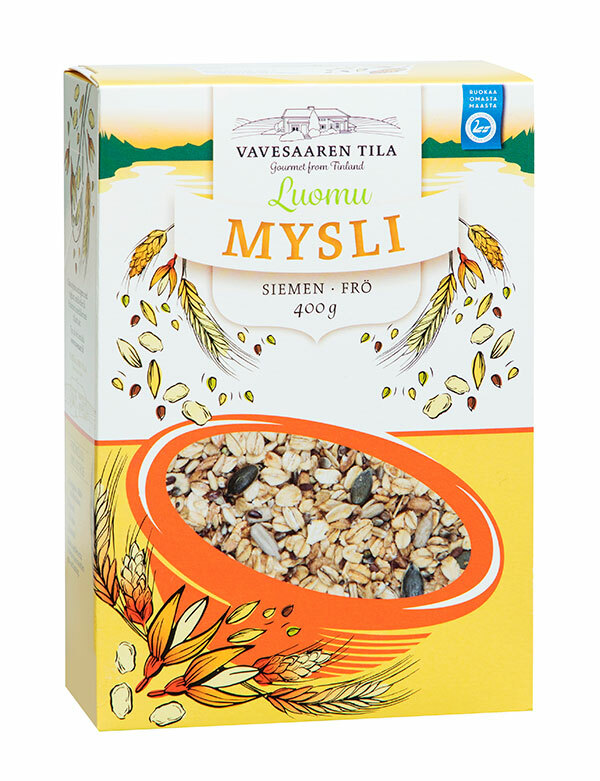 INGREDIENTS: oat flakes, spelt flakes, oat grain, molasses, hemp seeds (5%), sunflower seeds, rapeseed oil, water, pumpkin seeds, linseed and chia seeds (2 %).